Miltiades (c550-489 BC), Athenian general and victor of the Battle of Marathon, 490 BC. 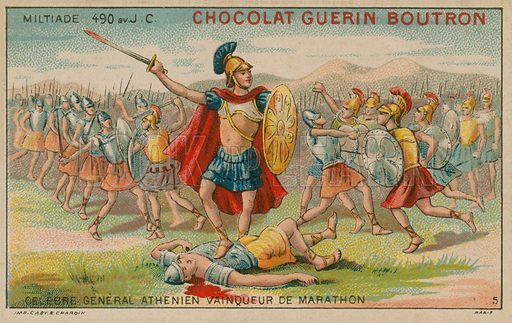 Chocolat Guerin Boutron educational card. Available worldwide for immediate download up to 5,389 x 3,403 pixels.